GoodBeing Coupon – Free Bonus Gifts with Gift Subscriptions! Last Day! GoodBeing Coupon – Free Bonus Gifts with Subscription! GoodBeing Coupon – Free Bonus Gifts with Subscription! GoodBeing Coupon – Free Extra Full Size Product with Subscription! Goodbeing Coupon – Free Holiday Bonus Box with Gift Subscription! GoodBeing Coupon – Free Gifts + 10% Off Subscriptions! GoodBeing Coupon – Free Tribe Alive Pouch & Bracelet with Subscription! 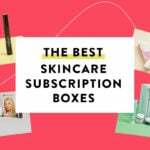 GoodBeing Coupon – Free Kahina Perfume Oil with 3-Month Gift Subscription!